Browse > Home / Insights / Does Singapore Need to Have a Government Department That Addresses Sustainable Business? Which government department in Singapore is in-charge of pushing for sustainable business? The answer is none. There are several government agencies and departments working on different environmental policies, and green initiatives and funding schemes, but there is no one department in-charge of helping businesses in Singapore to be more sustainable in a holistic way. Although there is a whole-of-government approach to the environment at the top level, there are still silos and gaps at the operational level. Businesses that are interested to be more sustainable usually have to speak to different agencies and departments separately. If your company is trying to reduce energy consumption and improve energy efficiency, you approach the National Environment Agency (NEA). For water conservation? PUB, the national water agency. For waste reduction and recycling? NEA. For green buildings? Building and Construction Authority (BCA). For climate change? NEA or National Climate Change Secretariat (NCCS). For renewable energy? Energy Market Authority (EMA) or Economic Development Board (EDB). For green transport? Land Transport Authority (LTA) or EMA. For sustainable manufacturing? Singapore Institute of Manufacturing Technology (SIMTech). For sustainable events? Singapore Tourism Board (STB) or NEA. For green shipping? Maritime and Port Authority of Singapore (MPA). For expanding green businesses overseas? International Enterprise (IE) Singapore. For green foreign companies setting up here? EDB. For green standards? SPRING Singapore. For green IT? Infocomm Development Authority of Singapore (IDA). For green entrepreneurs? None, but usually falls under the broad entrepreneurship focus under SPRING. For green products? None, but falls under the Singapore Environment Council and Singapore Green Building Council, which are non-profit organisations. For CSR or sustainability reporting? None, but falls under the Singapore Compact for CSR, a national society. Is it time for Singapore to have a government department that addresses sustainable business? If the government wants to help businesses to embrace sustainability, thus reducing operational costs and gain a green competitive advantage, it has to look into having a dedicated one-stop department that advises businesses on sustainability and green practices. Rather than having a piecemeal approach to business sustainability, a strategic and holistic approach would be better and more effective. The government has to consider a company’s perspective. For example, a company interested in embracing sustainability for its operations, products and services has to look into various ways to reduce its environmental impacts, whether it is on reducing energy, water or waste; greening its products or services; or implementing sustainability reporting and meeting green standards. This also means that the company has to approach multiple agencies to seek advice and funding, since each agency is responsible only for its own narrow work scope. The government department responsible for helping local companies to be more sustainable could become a one-stop channel that provides tips, best practices, case studies, resources, funding, and research on business sustainability. With this single focus, companies only have to approach this department instead of speaking to multiple agencies, thus saving time and resources. In addition, this department would be able to help businesses look at sustainability holistically and address the various environmental risks and opportunities. A suggestion is to set up a department under NEA or SPRING, which could be called the Sustainable Business Department (SBD). 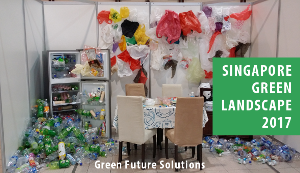 SBD would consolidate the various environmental policies, green initiatives and funding from various government agencies, and provide the necessary advice, green practices and resources to businesses in a practical and easy manner. It could also be tasked to introduce a Sustainability and Innovation Credit (SIC) scheme to support local businesses. SBD would help companies to address business areas that has environmental impacts and risks; reduce the use of resources such as energy, water, fuel, materials and chemicals; and look into climate change issues. The advice would help companies to identify and monitor their environmental risks, and reduce those risks over time. In addition, businesses can save costs and be more efficient by reducing the consumption and disposal of resources. SBD would help companies to explore green products and services; environmental standards; eco-labels; green marketing and sustainability reporting. The advice would help businesses to meet the market demand for green products and services, gain a competitive advantage and increase their revenue. In addition, the companies can build up their reputation through implementing the various green initiatives, standards, labels or reporting, and enhance their brand as a sustainable business. More importantly, SBD would be responsible for setting the national strategy to drive local businesses to be more sustainable and adopt green practices. Without a dedicated government organisation that leads and helps the private sector, the shift towards sustainable businesses would be too slow. The setting up of a SBD would be a timely move to help Singapore companies gain a sustainability competitive advantage and set the green standard in Asia. What do you think? Does Singapore need to have a government department that addresses sustainable business? Share your thoughts below in the comments section, thanks!